I've got all of February's squares done...and a few more. I did run out of the cream coloured wool I'm using to do the outside, so I was just crocheting the coloured centres,but a quick visit to my LYS solved that & I can carry on. I find crocheting so relaxing when I've come up against a hard knitting pattern, or even lost my knitting mojo. 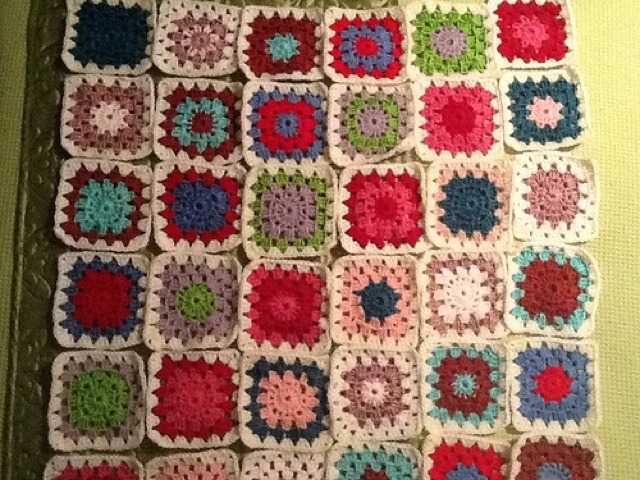 These squares are a bit darker than January's, which is one of the reasons they're not joined together. How are you getting on with your GrannyADay project? 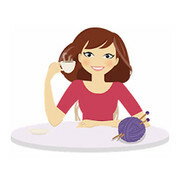 Or any other crochet project you have on your hook?